Isabel Lahiri: How'd it go? 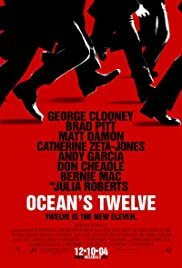 Q: How many of Ocean's 12 knew about the 'elaborate show'? Q: How many of the original 11 are returning, and who is 12? Q: When did Danny and Rusty contact LeMarque to set up the counter game? Great actors, beautiful European scenery, funny lines, witty banter, nice camera work, what could go wrong? ... The plot. When I saw that 27% of the people gave this movie a 10 rating, I wondered if I was the slow one. Then I read the reviews. When most of the stars started appearing on talk shows, trying to convey the buddy buddy tomfoolery that went on behind the scenes, I kind of sensed that damage control was underway. 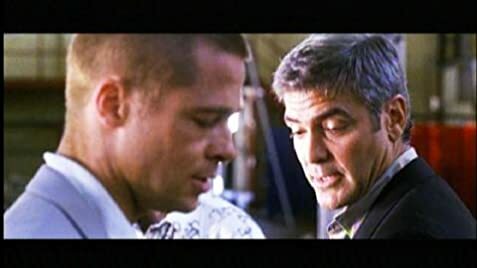 There was a moment in this movie where a few of the actors were sitting at a table talking complete gibberish, and it was later joked that they pulled a "lost in translation". I guess the joke was on me the viewer. What rolled along as a pretty good movie slowly gathering steam, stalled into chaotic incomprehensive mess. If you loved the first movie because it developed into a brilliantly masterminded theft with many twists, you be left with the empty feeling that the only thing that was lifted in this movie; was your money for the admission ticket. It is too late for me now, but you still have a chance. 612 of 819 people found this review helpful. Was this review helpful to you?